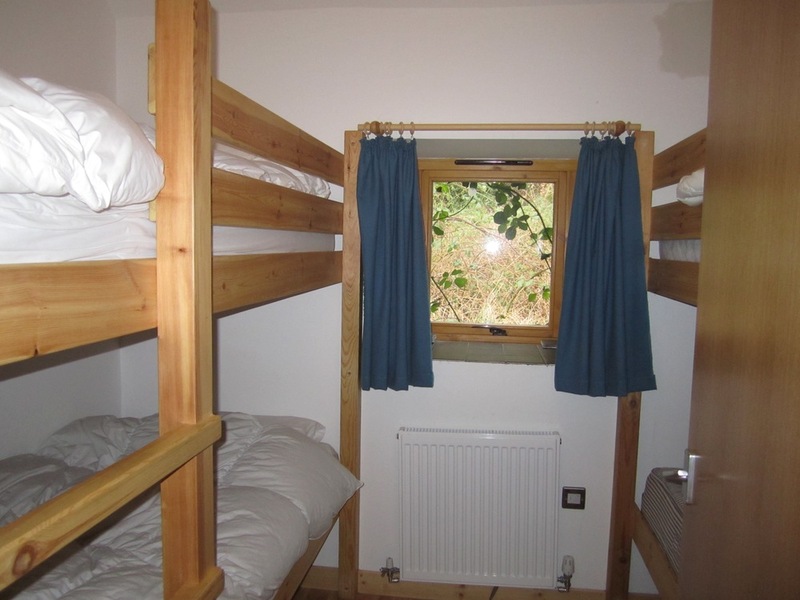 The Bunkhouse is a new, purpose built hostel at Carry Farm and provides simple, quality accommodation for small groups. Built within the walls of the original barn, the bunkhouse sleeps up to 10 people in three dormitories - two quads and one twin, all with full size bunk beds. 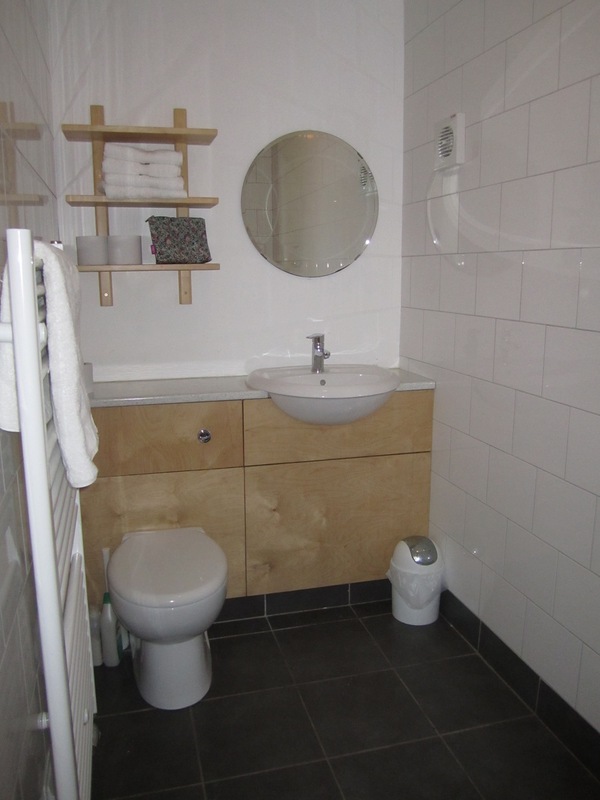 The twin bunkroom has an en-suite wet room, whilst the other rooms have use of a larger wet room off the main corridor. 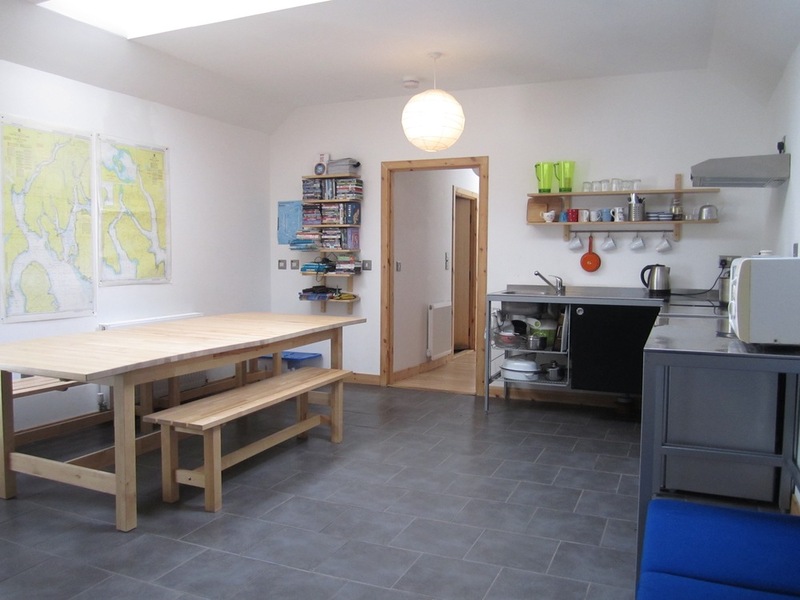 The bunkhouse has a fully equipped kitchen complete with everything you will need to allow you to be self-catering during your stay. There is a large refectory table to allow groups to eat together after a day exploring the area. As you would expect, there is plenty of hot water all day long with access to washing machine and tumble dryer and an outside area for hanging wet jackets etc. Wooden flooring in the bedrooms and tiles in the living area ensures the space is practical and clean. The rooms are centrally heated by a wood pellet boiler ensuring it is cosy at all times. Bed-linen is provided on arrival and towels can be hired from reception. Please note, storage space for personal bags is limited to under bunkbeds. Please contact Fiona for further information and availability.